Around Chicago was born in April 2008 as a simple e-mail to a couple of people recruiting them to get out and hit the networking scene. It didn’t take long for the event listings to expand as more and more people asked to be included on the distribution. And the rest, as they say, is history. In the beginning, Around Chicago’s publication primarily targeted professionals in restaurants, hotels and entertainment. We are proud of our roots and boast members from many of Chicago’s top hospitality venues. Membership has expanded to include several thousand people in law, real estate, banking, sales, meeting planning, public relations, transportation, manufacturing, events, not-for-profit, arts, marketing, museums, human resources, the chambers of commerce and the convention bureau. In a nutshell … people interested in meeting others and expanding their contacts. Around Chicago LIVE! brings the experience to you live and in person. This great community, united by its desire to meet other top professionals, comes out to schmooze, gather at a great venue and make that one-on-one connection with each other. ACL has been called Chicago’s “best and friendliest” networking event over and over. 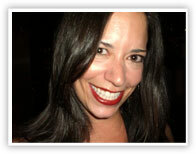 Around Chicago is published by Nicole Price, CMP, a Chicago native and veteran of the events world. She’s done pretty much everything surrounding events from sales, fundraising and negotiation to planning, logistics and onsite management in a variety of industries including medical, not-for-profit, restaurants, corporate consulting and dot-com. Nicole’s background includes fifteen years of experience in marketing and events; an MBA in Marketing from the University of Illinois at Urbana and a BA in Political Science from the University of Wisconsin-Madison. She is involved in a variety of philanthropic organizations in Chicago. Nicole loves networking and connecting people and hopes that Around Chicago helps you to love it, too.